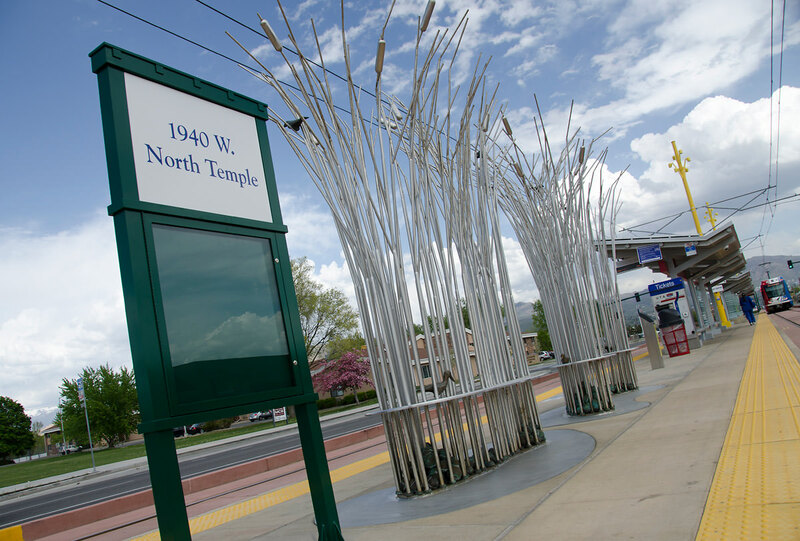 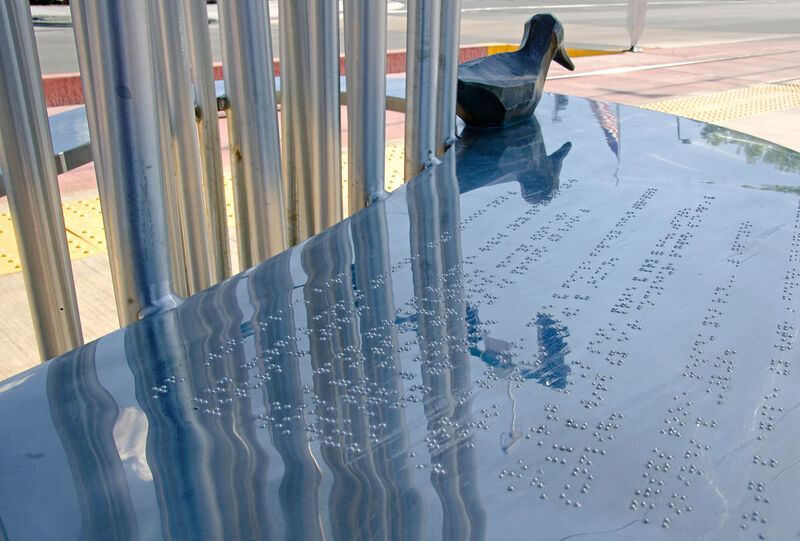 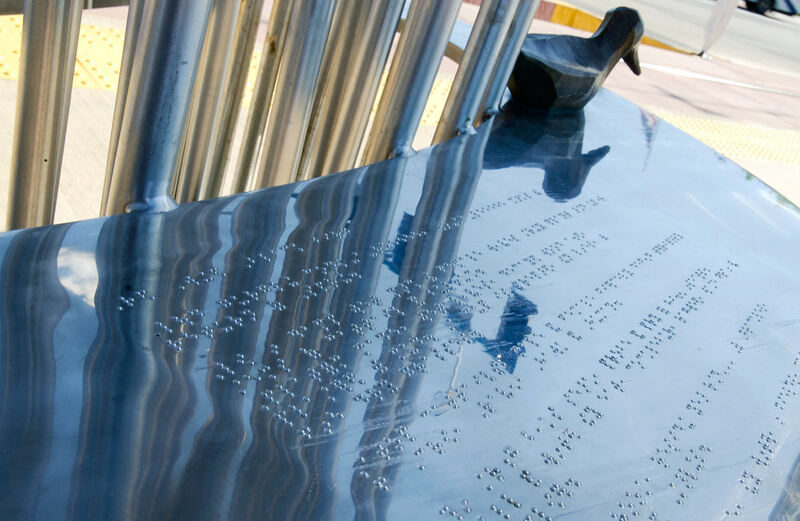 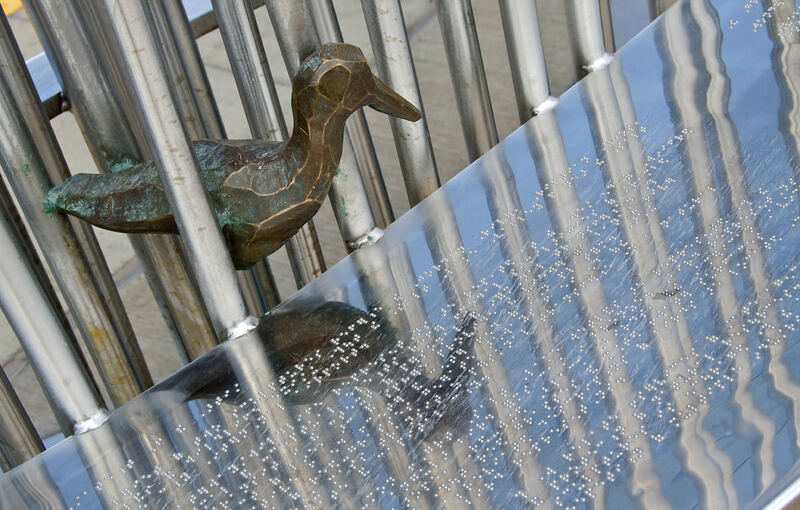 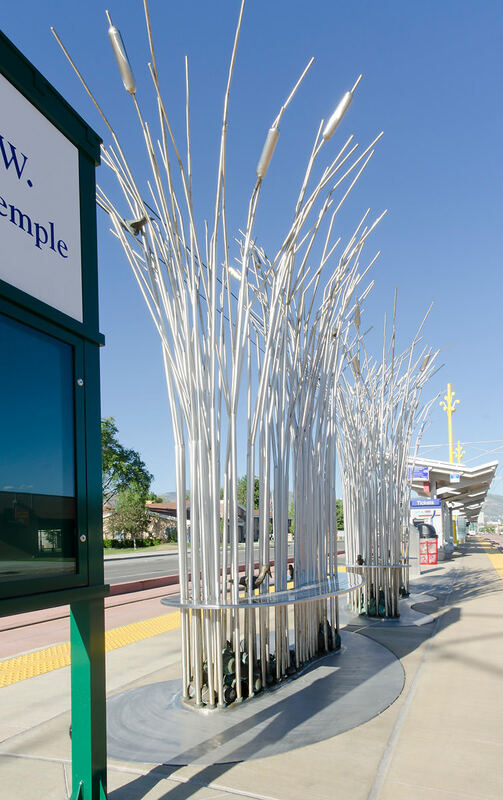 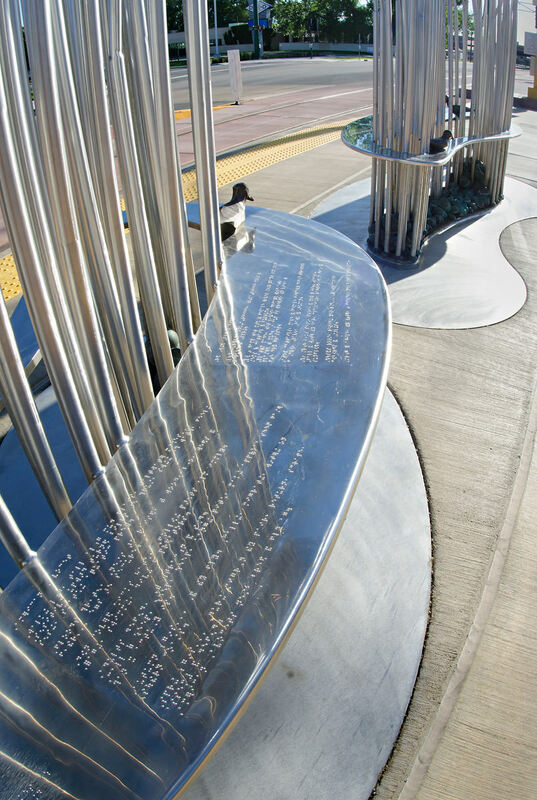 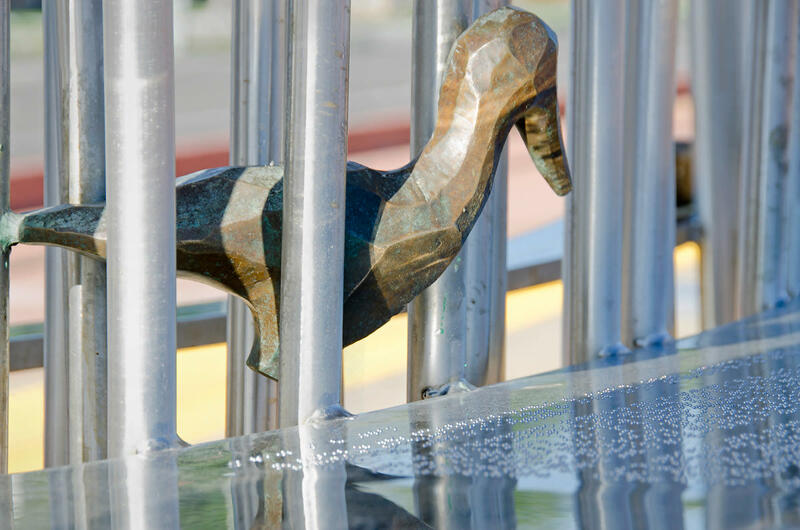 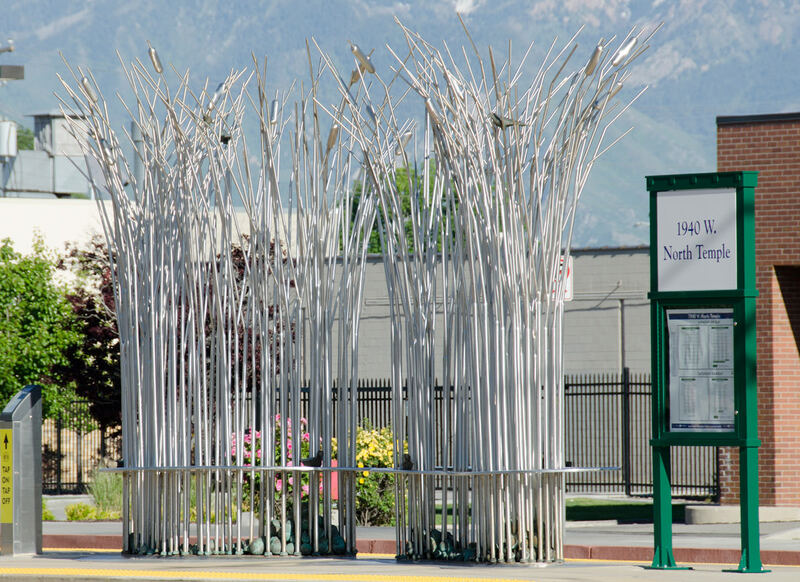 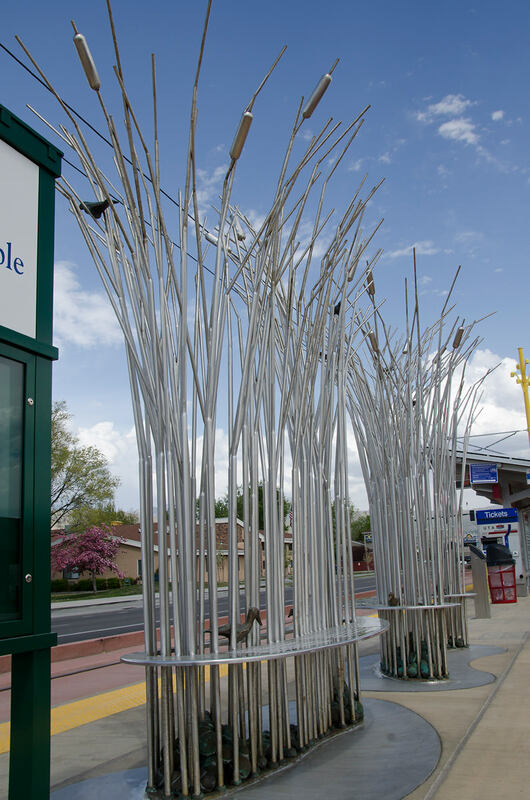 Shawn Porter created two stainless steel, bronze, and patinaed copper waterway & wildlife sculptures referencing the Jordan River, riparian zones, wetlands and wildlife existing throughout the Salt Lake Valley. 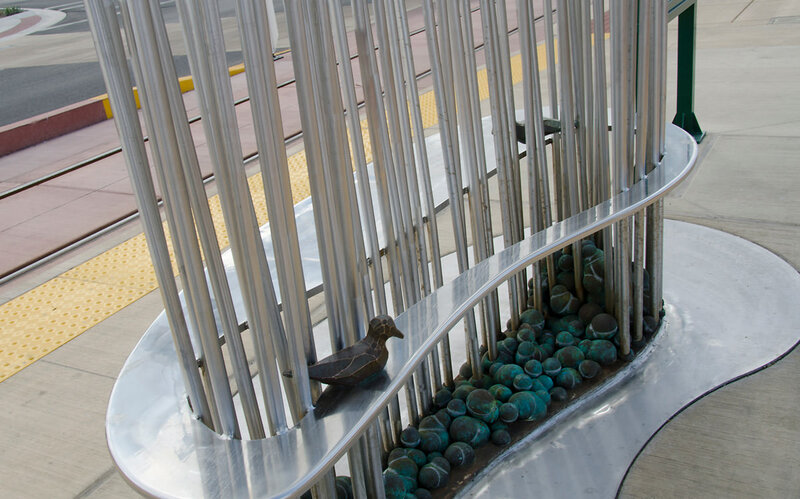 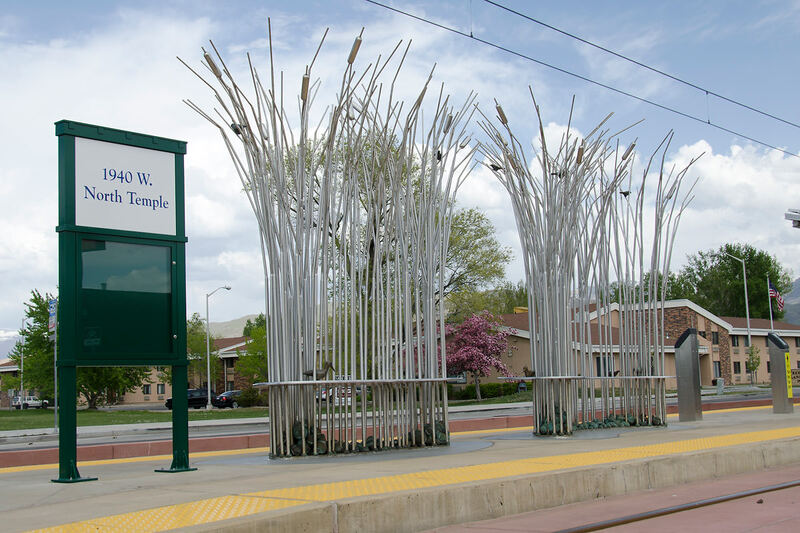 His passion for and interest in the wetlands prompted his “desire to incorporate naturalistic artwork as a physical, visual and conceptual waterway/ gateway that welcomes visitors to the naturally diverse state of Utah.” This formal construct of line, arc and sphere provide the viewer with a banking river way perspective from end to center and center to end of station platform. 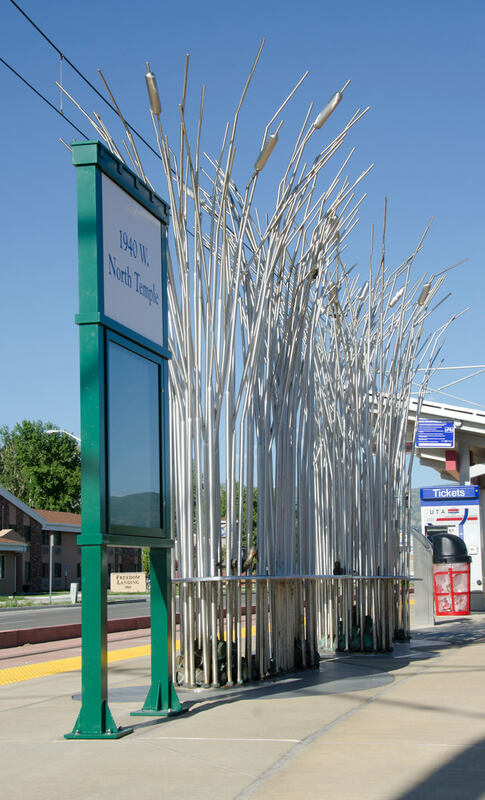 A representation of reed-grasses generate archways suggesting mass transit as personal transference through a natural gateway into the capital city.